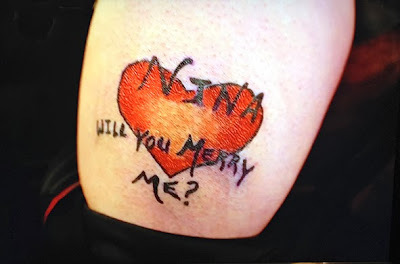 If you've not seen Bad Ink, it's all about overwriting seriously bad tattoos with better ones. As it's that time of year, I thought I'd get into the spirit with one that caught my eye. Perhaps he just wanted Nina to make him happy this Christmas.